Today was day two of a set of three workshops that I’m running at my kids’ school. 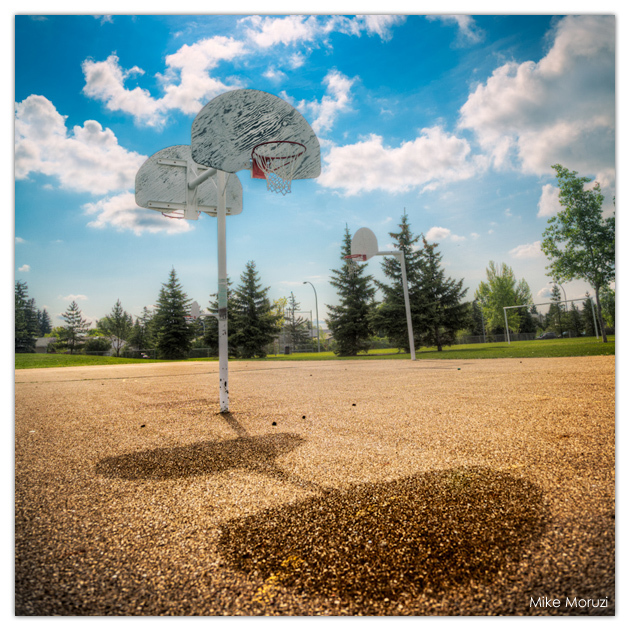 The grade 6 art class has a photography unit that they generally outsource. This year, it’s my pleasure to teach the photo unit to three classes of 11 to 12 year olds. I’ve really been enjoying the workshops. I had a great time developing the teaching material and it was challenging trying to select the course content for such a broad subject given that it needs to be squeezed into just a half day. The way we finally structured the class is to go through a very quick history of photography and run through the basic technical capabilities of the classroom cameras (Nikon Coolpix L26) discussing focus, exposure and scene modes. They then get 20 minutes outside to shoot. Then we bring them back in, teach them about light and composition and then send them out again with the hope that the second round of pictures are better than the first. They pick their best images, we have a quick Q&A and we’re done. Goes by in no time for me and they seem to be having fun. 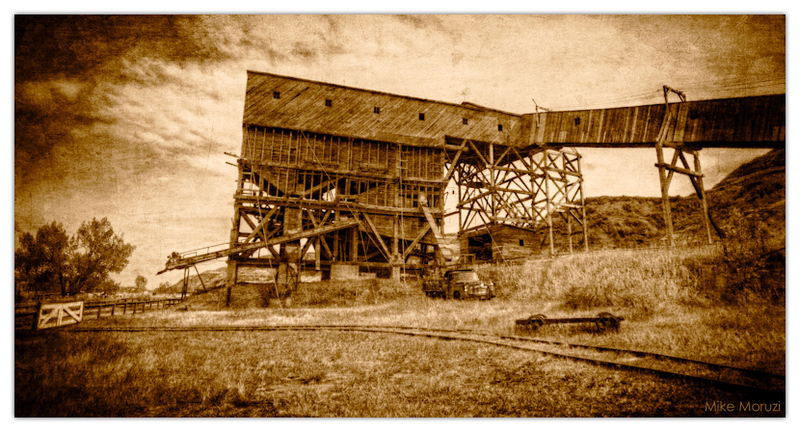 Pictured above is the coal tipple at the Atlas Coal Mine in Drumheller, Alberta. The coal used to ride a conveyor belt down from the hills to the right and then up another conveyor tunnel to the main building. The main structure is the tipple where the coal was sorted and loaded into train cars. Coal was booming business back in the 1900s in Alberta. Between 1912 and 1966 the coal mines in the Drumheller area produced nearly 57,000,000 tons of coal. When oil was discovered nearby in 1948, demand for coal suffered a steep decline. Coal mining towns shrunk dramatically. Some were completely abandoned. By 1979, the coal years in Drumheller were all over. 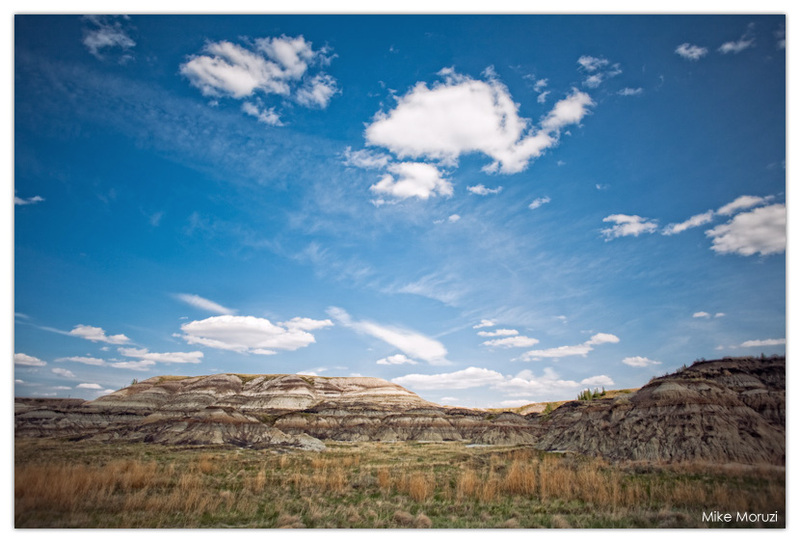 The Atlas Coal Mine was established outside Drumheller around 1911. This images shows the shower room. After a long shift in the coal mine a whole lot of very dirty men would come here to clean up. 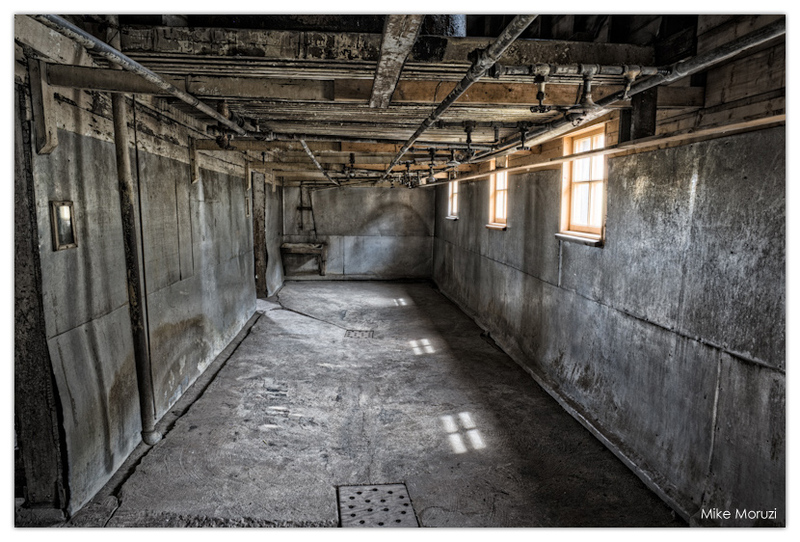 In fact, because it was a coal mine, this was the only location in town that offered hot showers. The story goes that the women back in town were really jealous of the hot showers, especially in the deep cold of winter. The men, knowing what was good for them, argued with the mine manager to let the women use the shower when it wasn’t in use. They managed to get the women one night a week – Sundays. In the days before readily available hot water in the homes, I bet these showers felt really good. 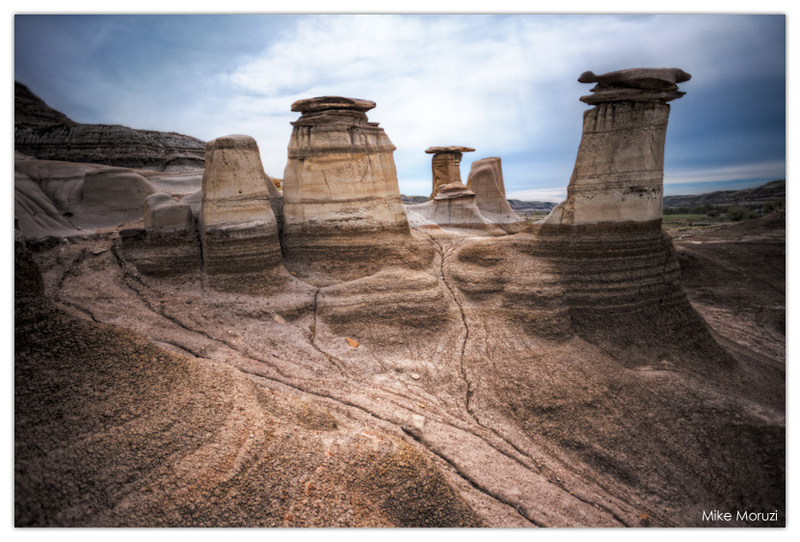 These are the “Official Drumheller Hoodoos”. Apparently, there are hoodoos all over the badlands, but this is the official protected site. While we didn’t cover a huge amount the badlands by any means, these were also just about the only hoodoos we saw. At least, the only ones of any reasonable size. I’m sure there were others, but we didn’t see them. The funny thing about these hoodoos is that this is almost the only view available that doesn’t include the network of metal stairs, pathways and railings that surround this site. In an effort to stop visitors from damaging the site they have recently erected a rigorous infrastructure that nearly eliminates the ability for us photogs to get a shot of the natural splendour without ironworks sprouting around each corner. Thankfully, with careful scouting, there remains this one vantage point. Hey folks! Been a while. What can I say? I just wasn’t feeling terribly inspired with the camera. Luckily, last weekend we got out-of-town to visit the little town of Drumheller, Alberta which sits in the middle of the Canadian Badlands. Drumheller is known for its dinosaurs. In fact, they’re so proud of their dinosaur status, their city website is http://www.dinosaurvalley.com. They get their dinosaur status from the incredible number and variety of dinosaur remains found in the area. With so many dinosaur remains, they built what is surely one of the most amazing dinosaur museums in the world, the Royal Tyrell Museum. Simply amazing. That was our first stop on Sunday morning. We got their at a reasonable hour, but it being a long weekend, the crowds soon overwhelmed us. It’s open late so we decided we’d return after an afternoon out in the much-less-crowded great outdoors. Avoiding the throngs of people, we headed down to Horseshoe Canyon (pictured above). While the signs compare the view to the splendour of the Grand Canyon, this canyon was considerably more modest. Not that it wasn’t a pretty sight, but it’s no Grand Canyon. Lucky for us, this canyon is way more accessible and easy to get into. You need a little balance and sure-footedness to get down into the canyon, but once you’re in you can go wherever you like and stay as long as you please. After an afternoon hiking, we grabbed dinner and headed back to the museum to find we had it literally to ourselves. Now that’s a great way to enjoy a museum! Here’s a fun little series showing my five-year old (at the time) dancing atop the Remarkable Rocks in South Australia as the sun dropped behind her. I really love how she gets such joy from something so simple as just being outside. After three days of fishing in the Southern Ocean, these guys deserve a rest.